I have really been learning so much about our monthly devotional topic, love and compassion. I thought that I knew ALL there is to know about love, but it turns out there is so much more. These verses have really helped me dig deeper and learn what God's word says about love and compassion. I am halfway through the scriptures for this month and I am really taking the time to explore my heart on this topic. It's true. Love does conquer all things and the more you show it and accept it, the easier it is to understand how powerful it is. On this Valentine's Day, don't push it away. Don't shut it out. Let His love in. Let it change you. Let love show you what it is capable of, because without it, we are nothing. I hope you have a Happy Valentine's Day. 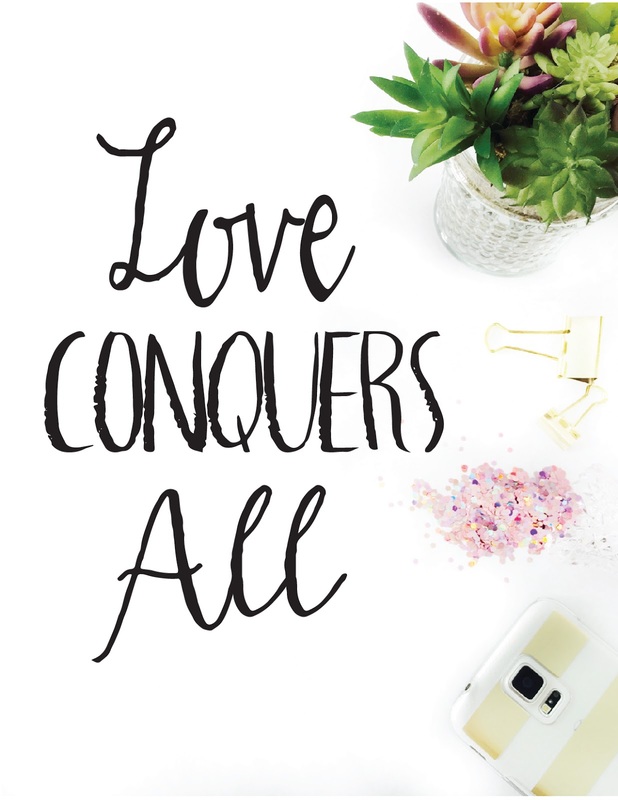 My treat to you today is this 'Love Conquers All' print. All you have to do is sign up --> here with your email to receive my blog posts. Would you like to join in with me as I study different topics of the bible? This month is on love and compassion and next month, scriptures are all about anger and gentleness. You can learn more about this devotional by reading this post, Explore My Heart. This week's project can be done in many ways, depending on your style. Below is the link for where I got my inspiration, although my flower tie is quite different. Here are the ones that I created out of some old garland I had. 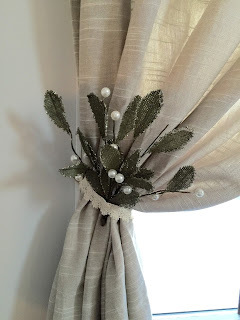 You can really create curtain ties from anything. I personally thought that the one from Pinterest looked a little more difficult to make. These ties are just a bunch of pieces of garland cut and the tied together. 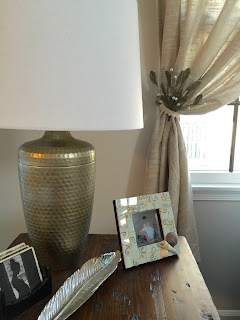 I then wrapped some thin twine around them and the curtain together to hold them in place. 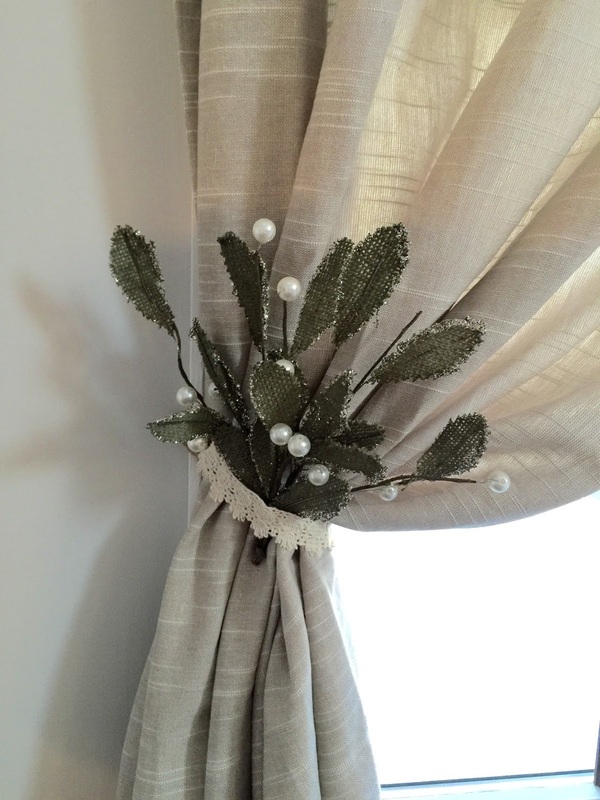 To finish them off, I added a piece of cream lace ribbon to cover the twine. I really love how they turned out!